In-Q-Tel has set up new offices in Sydney and London to gain access to startups with novel commercial technologies that can aid intelligence and national security missions of the U.S. and international partners. Peter Tague, an executive vice president at IQT, will oversee international efforts, the nonprofit said Wednesday. Tague is former vice chairman and co-head of global mergers and acquisitions at Citi. 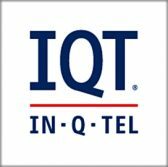 IQT expects the facilities to support U.S. partnership with national security and intelligence sectors in Australia and the U.K. as well as leverage venture capital communities and science and technology in both countries. IQT said it also aims to understand market and tech developments overseas through the new facilities.